Check out our very Special Promotion on Juvederm: Sonia’s Special Deal on Juvederm Only $400! written on March 13, 2018 “Great experience, beautiful office, and ample parking! 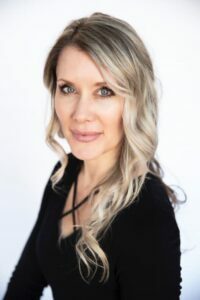 Love the downtown location :)” Jennifer G.
written on March 08, 2018 “Dr Abbott was very professional and experienced. I had complete faith in his knowledge and experience of the procedure. I was very happy with the results” Joni P.
written on Feb 08, 2018 “He was very professional, very calming and answered all of my questions” Patti F.
Posted on Jan 27, 2108 “My experience at Omaha Med Spa was amazing! Dr. Abbott knew and understood what I wanted. He did not try to pitch a sale for other services like most places would. I will be going back and would highly recommend to others!” N.N. written on Jan 18, 2018 “I felt comfortable from the time I made the call and then walked in the door. The Dr. and his staff made me feel very welcome and I was explained the benefits and value of the services I was wanting. 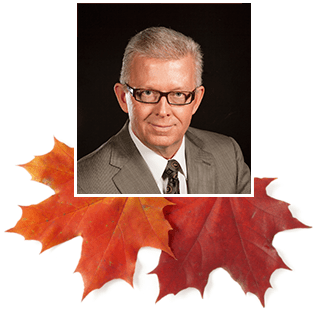 As well, Dr. Carter gave me an excellent assessment of what I needed and could expect from his treatment” Christopher W.
written on Dec 12, 2017 “He was very down to earth. He actually understands what he is talking about and was able to explain things so they were easy to understand. His staff were absolutely wonderful.” Angela B. 10 years ago we had one Juvederm product. Today we have Five! Although this may be a bit confusing to the consumer, it offers you and your Aesthetic Provider the ability to chose the right product depending on the results that you desire. Every face is different, and every person has their own reasons for wanting to try filler product. Our personalized model of care means that we will actively listen to your goals, and then provide with with your options, including what you can expect from the treatment, how long the benefit will last, and how much your treatment will cost. We will be sure to offer you the best pricing that we can offer, while assuring you receive the correct treatment and the best possible outcome. Don’t worry about deciding which filler is best for you – we are here to help you make that important decision. All of the Juvederm family of fillers contain Hyaluronic Acid (HA), a substance that your body readily accepts as normal, since it naturally occurs in skin. Levels of Hyaluronic acid in your skin drop over time and this is one contributing factor in the development of wrinkles and creases on the face and smaller lip size. Juvederm products are all clear gels, injected using small needles, and placed with care and attention to detail by Dr. Carter Abbott and Sonia Sublett-Adams APRN. Juvederm Voluma XC – made available to the US public in 2013, Voluma is the first filler produced using Vycross technology, creating a filler that is ideally suited to restore volume in the upper cheeks while also providing a subtle lift of the jowls and naso-labial folds. This was a revolutionary product that truly provides non-surgical lifting. Voluma XC can be used in other areas, and the Doctor will discuss those options with you at your visit. Juvederm Volbella XC – became available to US patients and Doctors in the fall of 2016. Volbella has a long track record, having been used in Europe since 2011 and more than 70 countries before it became available in the US. Volbella uses Vycross technology combined with a lower HA concentration to create a unique filler for natural lip enhancements that shape and refine lips and lip lines, and lasts up to one year. Dr. Abbott was one of the first offices to offer Volbella and he has found it to be useful for mature lips, smoker’s lines (vertical lines and wrinkles around the mouth) and lines from sun-damaged skin around the eyes and cheeks. Juvederm Vollure XC – is the latest addition to the Juvederm family of Hyaluronic Acid fillers. Since April 2017 Dr Abbott has been using this product, which offers a combination of adding volume to creases and fold, and lasting 18 months in approximately 55% of patients. Are you ready to learn more? The next step is to contact us and ask for a Free Aesthetic Consultation with Dr. Abbott to find out which filler is right for you. The Juvederm family of fillers are used to soften deeper lines and creases on the face, as well as lift and add more volume. Juvederm products may be used in many locations, such as smile lines, frown lines, nasal folds, cheeks, lips, lip lines, chin, tear troughs, temporal fossa, hands and ear lobes. Juvederm products offer excellent results and will last anywhere from 6-15 months depending on the Juvederm filler that is selected, how it is placed, where it is placed, and how quickly your body breaks it down. You don’t need to worry about which Juvederm filler is right for you – we will help you decide. On the day of treatment, you will see volume right away, along with some swelling, and possibly some bruising. 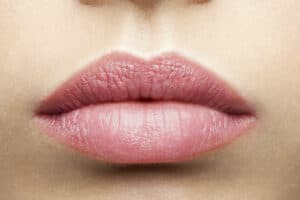 Allergic reactions to Juvederm fillers are extremely uncommon. Infections are also uncommon, but can occur with any injection. Any side effects that may occur from filler treatment will be safely managed. The safety of Juvederm is enhanced due to the availability of an “eraser” – a way to dissolve the filler if it is causing an problem or unwanted side effect. This eraser is called hyaluronidase, and Dr. Abbott always has it on hand to manage problems that rarely develop on the day of injection, or even used weeks to months later if dissolving filler is needed or requested by the patient. If your aesthetic Doctors office does not stock hyaluronidase for emergency use, then you should be seeking treatment elsewhere. Dr. Abbott and Sonia Sublett-Adams combine to have over twenty of experience in using Juvederm. We understand all of the nuances of the filler Juvederm to ensure that you have a safe and satisfying experience. Carter Abbott and Sonia are both known for their experience and skill in providing lip augmentation. Whether you want maximal volume, such as the picture above, or a subtle enhancement – we will deliver the best injection experience, and the best possible result. Bruising may be apparent on the day of treatment, or develop several days later. It will go away, but may take up to two weeks or more to completely disappear. The risk of bruising varies greatly between individuals, and can be minimized by stopping over the counter “blood thinners” a week prior to the service (such as Ibuprofen, Motrin, Advil, Aleve, Naproxen, ASA, Bayer Aspirin, Fish Oil, Omega 3 Fatty Acids and Vitamin E). if you are unsure if it is safe to stop any blood thinning medication, check with your doctor first. Tylenol does not increase the risk of bruising, and may be used during the week before treatment. We can treat you if you are unable to discontinue the use of blood thinners, due to a medical condition. Both providers are also highly skilled in the use of cannulas, which are ideal for treatment of the under eye area to improve the appearance of bags under the eyes (tear troughs), the cheeks and the temporal fossa. Blunt tip cannulas are very comfortable for the patient, and lead to almost no bruising or swelling! First a word about pricing. When you are shopping and searching the internet for where you will go for filler treatment, remember you should not shop on price alone. When you pay for filler treatment you are covering the cost that the med spa has to pay for the product, but most importantly you are also paying for the skill, experience, expertise, reputation and safety record of the aesthetic provider who is placing the product. We strive to offer you fair pricing, and the deliver the best possible filler results. Let’s also talk about Bundling of services and Promotions. If you decide to have more than one treatment on the same day (such as Botox and one filler or more than one filler at the same visit) then you are bundling treatments, and you will receive preferential pricing. These pricing details will be explained to you during your consultation, and before treatment. Promotions may be “Monthly Specials” that you will find on this web site. We also run “Flash Sales” that are sent out by email or social media. Keep a look out for these deals, as they offer significant savings. Other Promotions are related to additional Brilliant Distinction coupons that are provided to Dr. Abbott for his use with his patients, and post to your BD account (which is free to create). We will ensure that you hear about the current promotions so you can maximize your savings. When you “bundle” your services, and receive Botox and fillers the same day, or 2 syringes of fillers the same day, then you will receive $50 Off the above list prices. Hyaluronidase – refers to an enzyme than can be injected into any of the above HA Fillers, and works to dissolve any lumps or asymmetry that occurs after filler injection. Our goal is to do the job right, and not have to worry about “dissolving filler”. You should see it as an option if you receive filler and are not pleased with the appearance. Visits for Hyaluronidase injections cost $150 for the Office Visit and $50 for the Hyaluronidase.